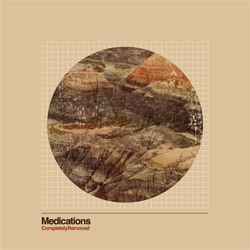 Mark Cisneros - keys, Clarinet, etc. Long-term musical partners, Devin Ocampo and Chad Molter have been swapping instruments and bands since their high school days in Los Angeles. In 1996, Ocampo migrated east to Washington, D.C., where he joined Smart Went Crazy for their second and final album, “Con Art". 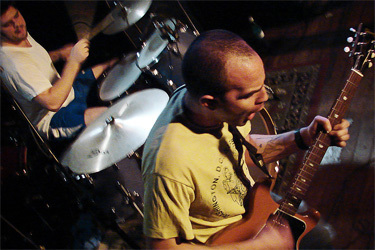 Chad soon followed and, along with SWC guitarist Jeff Boswell, the two formed Faraquet, who released a couple of singles, a split EP with Akarso, and one full-length, "The View From This Tower”, before disbanding in 2000. 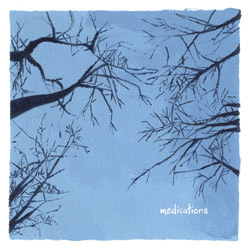 In 2003, Chad and Devin reunited to form Medications with drummer Andy Becker. 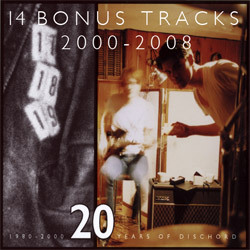 This line-up released an EP, “5-Songs,” and a full-length, “Your Favorite People All in One Place,” and toured extensively in the United States and Europe. 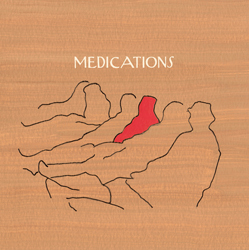 During the recording of Medications' second album, “Completely Removed”, Becker parted ways with the band and was replaced by Mark Cisneros, an accomplished multi-instrumentalist and a long-time friend of Molter and Ocampo. “Completely Removed” was released in April, 2010.